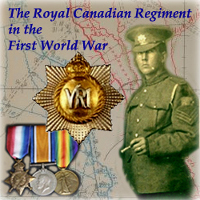 Officers of The RCR (CEF) - Lt.-Colonel J. Sutherland Brown, C.M.G., D.S.O. » Lt.-Colonel J. Sutherland Brown, C.M.G., D.S.O. Lt.-Col. James Sutherland-Brown, C.M.G., D.S.O. First World War - Despatches (5). 1914-15 Star, British War Medal, Victory Medal, C.M.G., D.S.O. D.A.A. & Q.M.G., 1st Can. Div. C.E.F., 1914. D.A.A. & Q.M.G., 1st Can. Div. C.E.F., 1916. A.Q.M.G., Can. Corps, France, 1916. A.A. & Q.M.G., 3rd Can. Div. C.E.F., 1916. A.A. & Q.M.G., 1st Cam. Div. C.E.F., 1917. SUPPLEMENT TO THE LONDON GAZETTE, 3 JUNE, 1918; Additional Members of the Third Class, or Companions, of the said Most Distinguished Order of Saint Michael and Saint George. - Maj. (A./Lt.-Col.) James Sutherland Brown D.S.O., R. Can R.
D. of M.D. & I., 1920. SUTHERLAND-BROWN, Brig. James, C.M.G. 1918, D.S.O. 1916; of Scottish descent; Canadian military service (retired); b Simcoe, Ont., 28 June 1881; s Frank Macarthur and Anna Mackintosh (Horn) B.; e grammar sch., Simcoe, Ont. Univ. of Toronto (2 yrs. ); student in law, 1902-04; Roy. Sch. of Inf. ; Candn. Musketry Sch. ; Staff Coll., Camberley, Eng., 1914; Imp. Defence Coll., London, Eng., 1928; m Clare Temple d Thomas Corsan, 27 June 1916; children Malcolm Corsan, Ian Macdonell, Atholl Denzil; pres., Goldfinch Gold Mines, Ltd.; joined 39th Regt., Norfolk Rifles, 1896; promoted capt. in that regt., 1903; comn. to The Roy. Candn. Regt., Perm. Forces of Can., 25 June 1905; capt., 1911; maj., 1915; bt. lieut-col., 1919; lieut-col., 1924; col. Mil. Staff, Jan. 1928; brig., July 1928; served in World War, 1914-18; D.A.Q.M.G., 1st Candn. Divn., Sept 1914-Jan. 1916; D.A.A.Q.M.G., do., Jan.-May 1916; A.Q.M.G., Candn. Army Corps, May-Sept. 1916; A.A. and Q.M.G., 3rd Candn. Divn., Sept. 1916-Oct. 1916; A.A. and Q.M.G., 1st Candn. Divn., Mar. 1917-Dec. 1918; holds 1914-15 Star; victory medal and British war medal; 5 times mentioned in despatches; dir. of organ., dept. of nat. defence, 1919-20; dir. of mil. operations and intelligence, do., 1920-27; D.O.C., Mil. Dist, No. 11, B.C., 1929-33; when attending Imp. Defence Coll. 1928, acted as Candn. liaison offr in Eng. ; is well known as a mil. instr. and lect. ; unsuccessful cand. for Victoria to B.C. Leg. in Union interests, 1933; mem., Cons. extve. Victoria City, 1934-36; mem., Un. Service Inst, of Vancouver Island; vice-pres., Army and Navy Veterans in Can. (Victoria); mem. Navy League of Can. (mem. of extve., Victoria); Candn. Legion, B.E.S.L. ; pres., Red Chevron Club; hon. life mem., Offrs'. Mess, 5th Coast Bgde., R.C.A. (non. perm. ); do., Candn. Scottish Regt. ; well known for his capability in handling men; author of articles in Mil. Gaz. ; Candn. Defence Quarterly; Journal of the Un. Service Inst, on mil. and kindred subjects; has also taken great interest in Imp. questions; Conservative; recreations riding, sailing, swimming, badminton, gardening; Club Union; Home "Bowker Place", Bowkei Place, Oak Bay, Victoria, B.C. SUTHERLAND-BROWN. Brig. James, C.M.G. 1918, D.S.O. 1916; Canadian military service; (retired); of Scottish descent; b. Simcoe, Ont., 28 June 1881; s. Frank Macarthur and Anna Mackintosh (Horn) S.; e. grammar sch., Simcoe, Ont. ; Univ. of Toronto (2 yrs. ); student in law, 1902-04; Roy. Sch. of Inf. ; Candn. Musketry Sch. ; Staff Coll.,. Camberley, Eng., 1914; Imp. Defence Coll.. London, Eng., 1928; m. Clare Temple, d. Thomas Corsan, 27 June 1916; children: Malcolm Corsan, Ian Macdonell, Atholl Denzil; A.D.C. to Lieut.-Gov. of B.C. 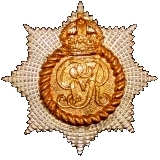 since 1936; joined 39th Regt., Norfolk Rifles, 1896; promoted capt. 1903; comn. Roy. Candn. 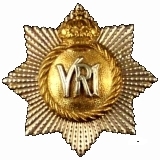 Regt., Perm. Forces of Can., 1905; capt., 1911; maj., 1915; bt. col., 1919; lieut.-col., 1924; col. 1928; brig., July 1928; served in World War, 1914-18; D.A.Q.M.G., 1st Candn. Divn., Sept. 1914 - Jan. 1916; D.A.A.Q.M.G., do., Jan. - May 1916; A.Q.M.G., Candn. Army Corps, May-Sept. 1916; A.A. and Q.M.G., 3rd Candn. Divn., Sept. 1916 - Oct. 1916; A.A. and Q.M.G., 1st Candn. Divn., 1917-18; 5 times mentioned in despatches; dir. of organ., dept. of nat. defence, 1919-20; dir. of mil. operations and intelligence, do., 1920-27; D.O.C., Mil. Dist., No. 11, B.C., 1929-33; Coronation Medal 1937; unsuccessful cand. for Victoria City to B.C. Leg. in Union interests;. 1933; mem., Cons. extve., Victoria City, 1934-38; mem., Un-Service Inst. of Vancouver Island; past pres., Army and Navy Veterans in Can. (Victoria); hon. pres., B.C. Commnd. Army & Navy Veterans, 1938; mem., Navy League of Can. (mem. of extve., Victoria); Candn. Legion, B.E.S.L. ; pres., Red Chevron Club; hon. life mem., Offrs'. Mess, 5th Coast Bgde., R.C.A. (non. perm. ); do. Candn. Scottish Regt. ; Conservative; Home: "Bowker Place", Oak Bay, Victoria, B.C. James "Buster" Sutherland Brown (June 28, 1881 - April 14, 1951) was a Canadian military officer best known for drafting a contingency war plan in 1921 to invade and occupy several American border cities. The style of the plan was Defence Scheme No. 1. What is much less well known are Brown's substantial contributions in the area of planning and logistics during his service as a senior staff officer in the Canadian Expeditionary Force (CEF) on the Western Front during the First World War.